I began teaching history in Newark Valley in the Spring of 1994 right after Easter Vacation. I began with 6 sections of 8th grade US History to finish the school year before switching to Global Studies I and II and Economics for the 1994-95 school year. For the past 15 years, I have continued to teach Global History and Economics during the regular school year. During Summers, I have taught Global History and US History in Summer School. 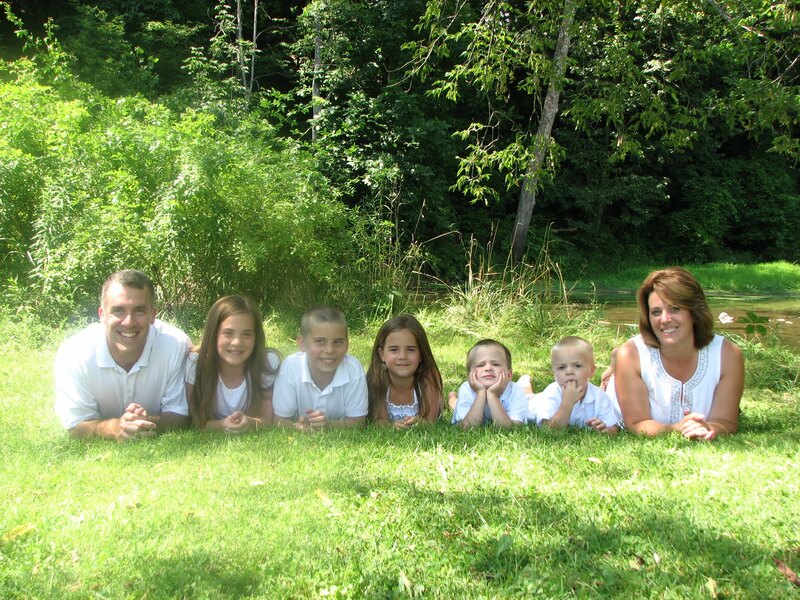 I was married to my wife, Shannon, on June 22, 1996 and have been blessed to have 5 children through the years. Hannah 1998, Micah 2001, Leah 2003, Jonah 2006, and Elijah 2007. High School: Newark Valley High School, Class of 1989! College: SUNY Delhi for 1989-90, SUC at Cortland 1990-93. I obtained my Masters from Cortland in 1999. Sports Coached: Track & Field, Soccer, Basketball. Yes, it's true, my brother is a math teacher here at the school (Mr. S. Williams). He's a great guy and I'm lucky to have him here! Below is a picture from the class of 1989 20th Re-Union. I'm pretty sure I'm in the front row, 3rd from the left.